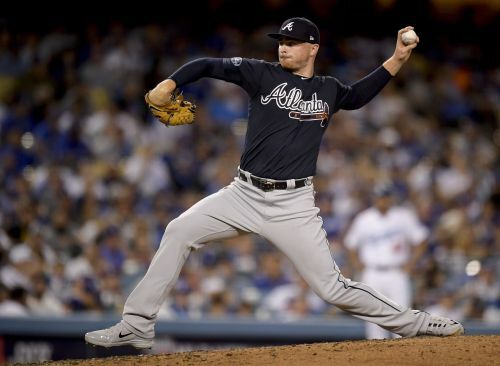 ATLANTA (AP) — The Los Angeles Dodgers put left fielder Chris Taylor in the leadoff position and sat Yasiel Puig as manager Dave Roberts adjusted his lineup to face Atlanta Braves left-hander Sean Newcomb in Game 3 of the National League Division Series on Sunday night. "To get Kemp, Freese, Taylor back involved against a starter like Newcomb, I think it gives us the best chance to win," Roberts said. "It just goes to the depth of their team when you can do that," Snitker said. "I mean, they have five guys on their bench that could be everyday players for a lot of teams. And the fact that they can just flip a whole lineup like that again shows the depth and the quality of club that they have." "The versatility lends itself to overcoming 162 games ... and keeps guys sharp mentally and physically," Roberts said.